The MANE event - Marco Beverage Systems Ltd.
Our US partners La MArzocco have been a part of MANE for the last three years and we are delighted to add our support to this years event. MANE has really become a model industry event with a keen focus on sharing knowledge and learning within the coffee community. It is well positioned as a neutral event that is not associated with a specific group or brand allowing for greater freedom of expression from speakers and lecturers. MANE refers to an older regional designation for BGA barista competitions – Mid-Atlantic New England. This year we are participating by sending a speaker (Mr. David Walsh) and by sending water boilers. It’s a great venue, a great event, a terrific opportunity to engage with US coffee groups in an educational setting. There are about 200 attendees, most of them from the Northeast US, however every year more attendees travel from across the US as well as some European attendees. Sprudge and Barista magazine will also be in attendance. 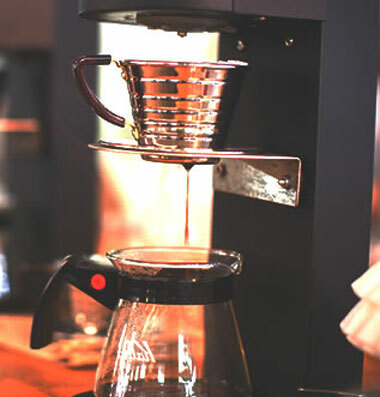 Our water boilers will be used in demonstrations and classes as their precision is invaluable when demonstrating speciality coffee and their famed reliability allows the presenter(s) to have one less thing to worry about in the run up to their presentation. The full event is Friday and Saturday, September 27th and 28th in Providence, Rhode Island. More details can be found here.